Most tax thresholds for income, estate, and gift taxes saw changes for 2015. In addition, the federal estate and gift tax exemption rose to $5.43 million, taking inflation into account. 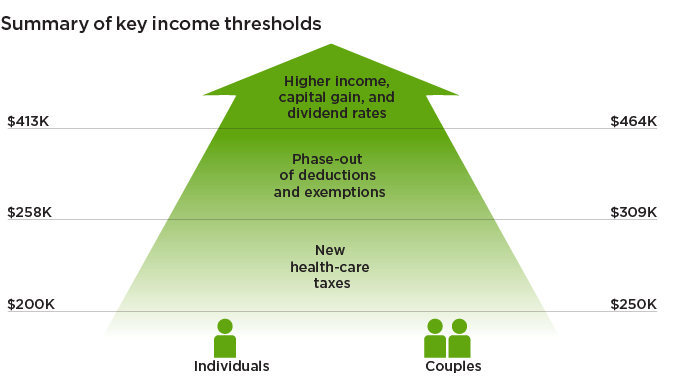 The following tables illustrate the key tax and income thresholds to consider when planning in 2015.